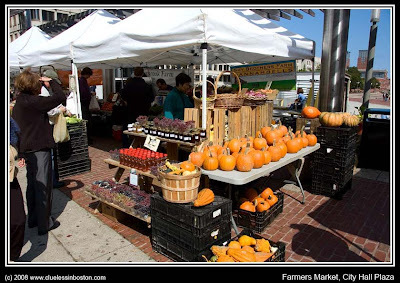 Farmers Market on City Hall Plaza, as seen one day last week. Ah, fall must be here. Pumpkins and gourds are always a sure sign. Nice picture.